Movist features a simple and minimal UI. From the control panel you can adjust video brightness, saturation, contrast and hue, change the play speed, adjust subtitles settings and sync. Simple and straighforward. Movist has an excellent support for keyboard shortcuts (you can take a look at them in the menubar menus) but unfortunately there’s no support for adjusting audio on-the-fly in 50ms like VLC does with the F and G keys. Where Movist really outstands the competition is in file support. 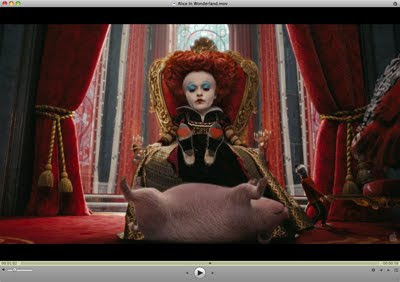 It’s the only app that plays .mkv files perfectly, even when VLC was crashing. Moreover, Movist plays .wmw files faster than Quicktime, and you can also switch from FFmpeg to Quicktime playback with a single click on a toolbar button. 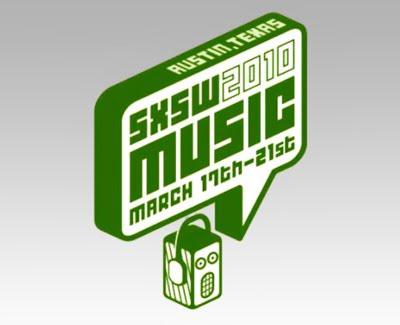 The South by Southwest (SXSW) Conferences & Festivals offer the unique convergence of original music, independent films, and emerging technologies. New media presentations, music showcases and film screenings provide exposure for creators and compelling entertainment for audiences. Conference panel discussions present a forum for learning, business activity thrives at the Trade Shows and global networking opportunities abound. Brett's 2p'orth: One of the highlights of SXSW for me is that the majority of featured bands make a track available for free download. This provides me with the opportunity to audition hundreds of songs, often from artists I have never heard of before. For a link to (unofficial) bittorrents of the songs click here. For cover art click here. On a planet with around 6.8 billion people, we're likely to see 5 billion cell phone subscriptions this year. Reaching 4.6 billion at the end of 2009, the number of cell phone subscriptions across the globe will hit 5 billion sometime in 2010, according to the International Telecommunication Union (ITU). The explosion in cell phone use has been driven not only by developed countries, but by developing nations hungry for services like mobile banking and health care. "Even during an economic crisis, we have seen no drop in the demand for communications services," said ITU Secretary-General Dr. Hamadoun Toure at the Mobile World Congress in Barcelona this week, "and I am confident that we will continue to see a rapid uptake in mobile cellular services in particular in 2010, with many more people using their phones to access the Internet." Along with the surge in cell phones, demand for mobile access to the Internet has skyrocketed. The ITU expects the number of mobile broadband subscriptions to surpass 1 billion around the world this year, a leap from 600 million at the end of 2009. The organization predicts that within the next five years, more people will hop onto the Web from laptops and mobile gadgets than from desktop computers. People in developing countries are increasingly using their cell phones for mobile banking, even those who have no bank accounts. 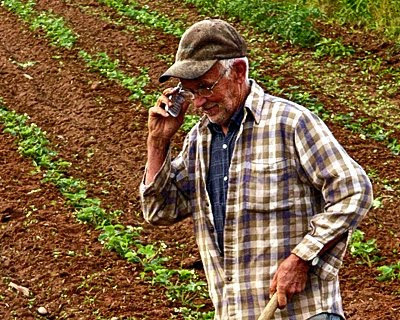 But it's in the area of health care that cell phones have made a difference in developing regions, believes the ITU. "Even the simplest, low-end mobile phone can do so much to improve health care in the developing world," said Toure. "Good examples include sending reminder messages to patients' phones when they have a medical appointment, or need a prenatal check-up. Or using SMS messages to deliver instructions on when and how to take complex medication such as anti-retrovirals or vaccines. It's such a simple thing to do, and yet it saves millions of dollars - and can help improve and even save the lives of millions of people." Brett's 2p'orth: I was initially cynical at the numbers quoted... but a browse through the comments has tempered my skeptisism, and bolstered my conviction that the future of personal computing lies in powerful, lightweight, wirelessly connected devices. 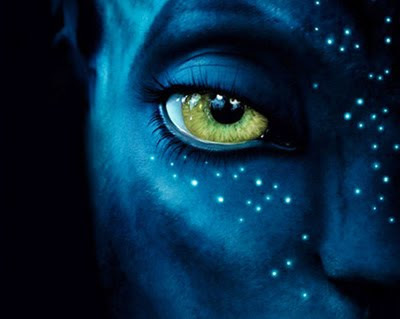 Na'vi is a constructed language spoken by the fictional indigenous race (the Na'vi) on Pandora in James Cameron's 2009 film Avatar. The language was created by Paul Frommer, a professor at USC with a doctorate in linguistics. This website exists to share this beautiful language with all who want to learn. This informational website, like the Na'vi language itself, is still in its infancy. So far, we have a 500 word Na'vi-to-English dictionary, the basics of speaking/pronouncing Na'vi, and an in-progress grammar and syntax section. Check back often for updates! Brett's 2p'orth: I wonder whether this will supplant Klingon as the geek language of choice. Thanks to Brook for the link. 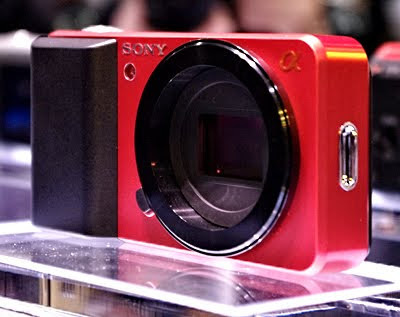 Sony kicked off PMA 2010 by launching a new ultra-compact interchangeable lens concept. They showed a trio of mock-up cameras and revealed very limited preliminary specs about the system and a new Exmor APS HD MOS sensor. Behind the new concept is a new APS sized sensor, named appropriately enough, the Exmor APS HD MOS sensor. It will outsize its Micro Four Thirds competitors and offer 1080p HD AVCHD video recording. Along with the new sensor, Sony has committed to developing three types of new compact lenses to match the small form factor of the new system. Sony was very tight-lipped about the details of the new system. We weren't given a megapixel count for the new sensor or details about the new lenses on the line. They did promise that the system would launch in 2010 and instructed us all to "stay tuned." An Indian U of Maryland physics prof came up with these zero rupee notes that Indians can slip to officials who demand bribes. They've been wildly successful, with a total run over over 1,000,000 notes, and the reports from the field suggest that they shock grafters into honesty. 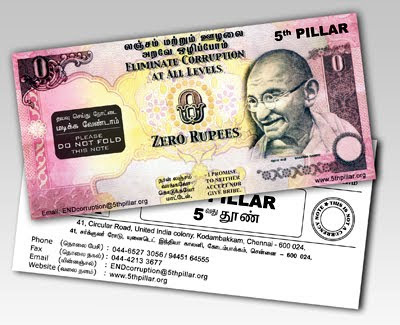 Fifth Pillar is the NGO that produces the notes, and they're available for download in Hindi, Tamil, Telugu, Kannada and Malayalam. Spray-on liquid glass is transparent, non-toxic, and can protect virtually any surface against almost any damage from hazards such as water, UV radiation, dirt, heat, and bacterial infections. The coating is also flexible and breathable, which makes it suitable for use on an enormous array of products. The liquid glass spray (technically termed 'SiO2 ultra-thin layering') consists of almost pure silicon dioxide (silica, the normal compound in glass) extracted from quartz sand. Water or ethanol is added, depending on the type of surface to be coated. 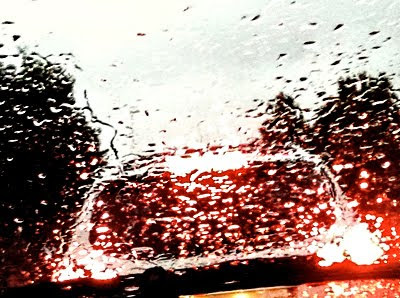 There are no additives, and the nano-scale glass coating bonds to the surface because of the quantum forces involved. According to the manufacturers, liquid glass has a long-lasting antibacterial effect because microbes landing on the surface cannot divide or replicate easily. 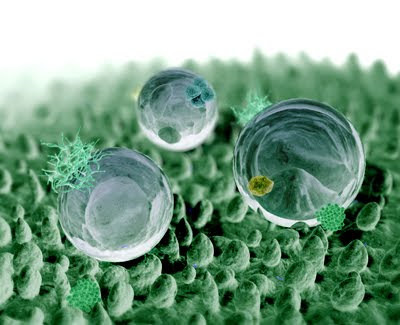 The liquid glass spray produces a water-resistant coating around 100 nanometers (15-30 molecules) thick. On this nanoscale the glass is highly flexible and breathable. The coating is environmentally harmless and non-toxic, and easy to clean using only water or a simple wipe with a damp cloth. It repels bacteria, water and dirt, and resists heat, UV light and even acids. UK project manager with Nanopool, Neil McClelland, said soon almost every product you purchase will be coated with liquid glass. Food processing companies in Germany have already carried out trials of the spray, and found sterile surfaces that usually needed to be cleaned with strong bleach to keep them sterile needed only a hot water rinse if they were coated with liquid glass. The levels of sterility were higher for the glass-coated surfaces, and the surfaces remained sterile for months. 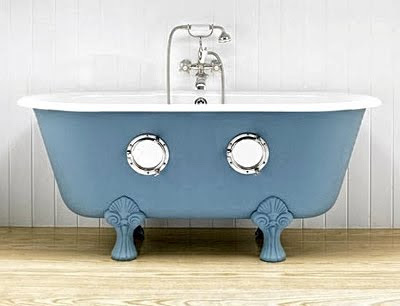 An original French double-ended bath with two portholes cut into the side. 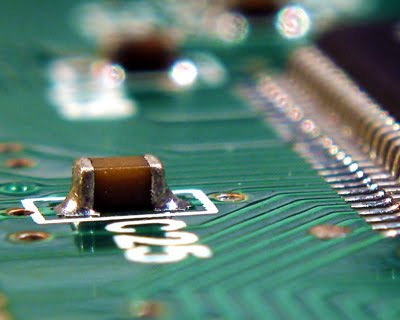 Sony has developed a wireless communications technology designed to replace the cabling within gadgets rather than connections between devices. The technology operates within the 30-300GHz band. It's called the 'millimetre wave' zone, thanks to a wavelength of 1-10mm, but it's the frequency that matters since it's high enough to permit very high speed data transfer. Using a 1mm antenna, Sony was able to get a 11Gb/s transmission speed over a distance of 14mm. Better, more directional aerials can be used to get the distance up to 50mm, Sony said. 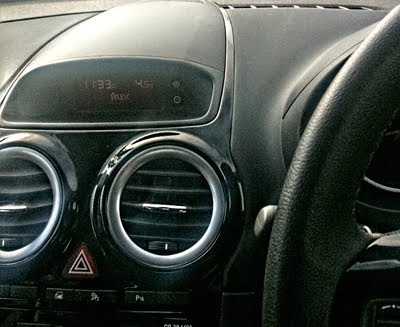 Why replace wires inside, say, a TV set? Because it means fewer materials are used to produce the device, Sony claimed, and it "enhances the reliability of movable and detachable parts within the product". In short, it allows companies to make truly modular products whose component parts don't need to be wired together. Yee-Haw Industries specializes in original art-like products - from letterpress posters promoting special events, music acts and theatre shows to handmade, woodcut, fine art prints. 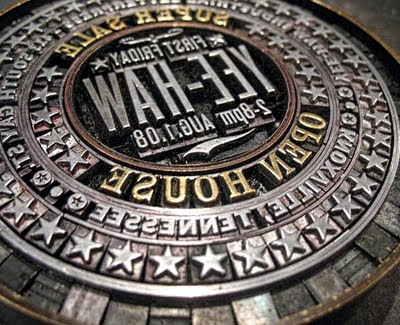 Our work is custom-to-order, designed, set, and pressed by hand. 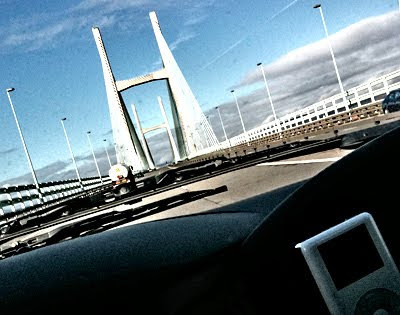 Visit our blog for current updates. Feel free to browse & buy through our Etsy store for a great gift. Brett's 2p'orth: The creativity and technical accomplishment of this company's work is astonishing. Visit their Flickr pages for even more examples, including the header picture for this blog article. The Hydrofill uses electricity from the outlet (as well as solar panels if you're particularly green), and produces hydrogen that can then be stored in refillable cartridges. The system can pump out 2.5 watts of power. No word yet on the cost. Online chatter puts it at about $200 for the whole kit, but Taras himself is mum on giving an exact number because he's still in talks with retailers. He expects to have it on shelves at the end of the year. 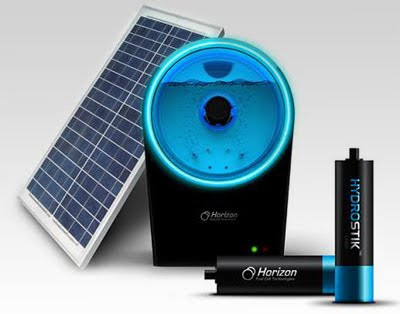 Taras' company, Singapore-based Horizon Fuel Cell Technologies, is also pushing out a range of products which can use the cartridges to power up smartphones, lights and other devices including a zippy RC hydrogen fuel cell car. 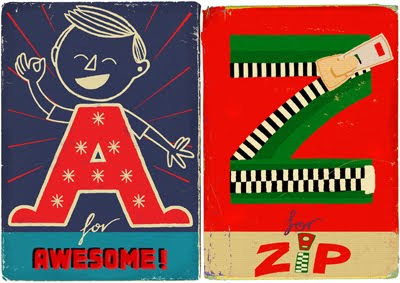 Paul Thurlby has created a charming illustrated alphabet. 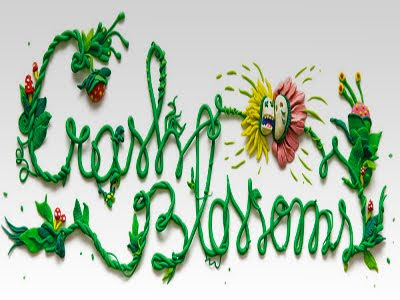 Another participant in the forum, Dan Bloom, suggested that “crash blossoms” could be used as a label for such infelicitous headlines that encourage alternate readings, and news of the neologism quickly spread. This snail lives in hydrothermal vent fields two miles deep in the Indian ocean, and is surrounded by vicious predators. There’s the 'cone snail', which stabs at its victims with a harpoon-style tooth before injecting them with paralyzing venom. Then there’s the Brachyuran crab, which has been known to squeeze its prey for three days to make sure it is well-and-truly dead. 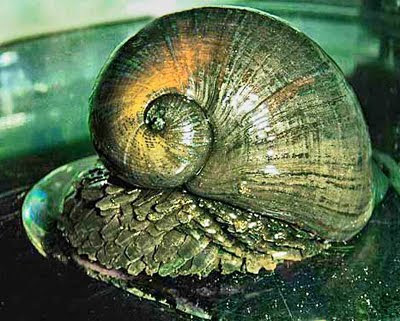 The Scaly-foot Gastropod (L. Crysomallon squamiferum) takes the grains of iron sulfide floating in the water around it and incorporates it into the outer layer of its shell. The shell is 'unlike any other known natural or synthetic engineered armour.' Part of its ability to resist damage seems to be the way the shell deforms when it’s struck: It produces cracks that dissipate the force of the blow, and nanoparticles that injure whatever is attacking it. 'A cat has claws at the end of its paws. 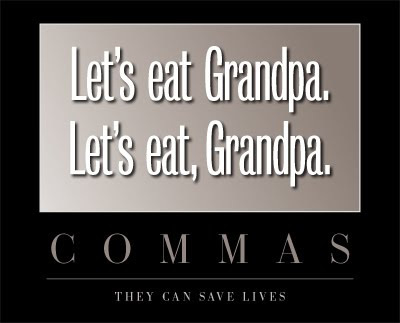 For a larger version of the 'Commas' quote, click here. 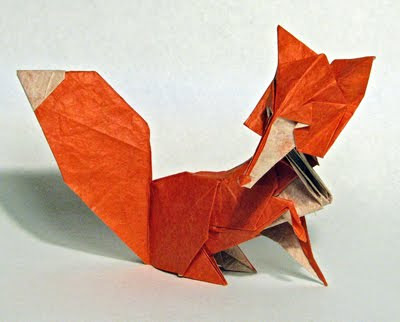 If you enjoy looking at beautifully created origami creations, Roman Diaz's Flickr site is worth a browse. The prototype is the first of what the Silicon Valley startup promises will be countless automated battery exchange stations that will one day dot our cities. 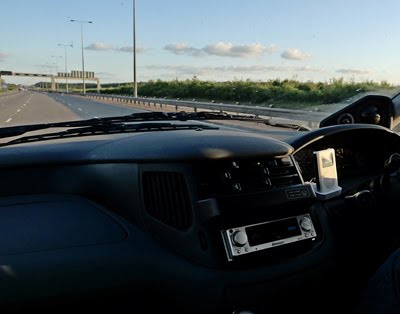 The technology will make it possible to travel long distances in an EV without the hassle of stopping to recharge your battery, company founder and CEO Shai Agassi said. The demonstration came six months after Better Place opened 17 EV charging stations in Tel Aviv, the first step in its plan to have 150,000 places to plug in throughout Israel by 2011. Most of the major automakers are racing to develop electric vehicles, and the first of them are slated to arrive next year. The question many people have is just where we’re supposed to charge those cars when they aren’t in our driveways. Better Place is but one company trying to solve that riddle, and it’s approaching it from two sides. First, it wants to blanket cities with charging stations that would be installed in public parking lots and other locations. That’s relatively straightforward; far more challenging - some would say ludicous - is its plan to establish networks of battery swap stations. The swap technology is still a work in progress, and Better Place plans to continue refining it during trials in Japan and Israel using prototype EVs from Renault, Subaru and Mitsubishi. Once deployed, the swap stations will be used in conjunction with charging stations to keep electric cars going. Better Place will own the batteries and charging infrastructure and sell consumers “subscriptions” similar to cell phone plans. 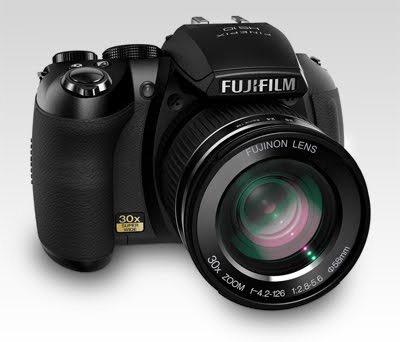 Fujifilm has introduced the FinePix HS10 advanced superzoom which combines a huge 30x (24-720mm equiv.) optical zoom lens with a 10MP back illuminated CMOS sensor. It includes full HD 1080p video recording, RAW capture, P/A/S/M shooting modes and a Motion Remover mode that removes unwanted objects from photographs [!!?? ed.]. The HS10 also offers 10 fps full resolution continuous shooting with AF Tracking and high speed movie recording at 1000 fps. Rebecca was Alfred Hitchcock's first American project. Released in 1940, it is a psychological thriller starring Laurence Olivier as Maxim de Winter, Joan Fontaine as his second wife, and Judith Anderson as the superbly creepy housekeeper, Mrs. Danvers. 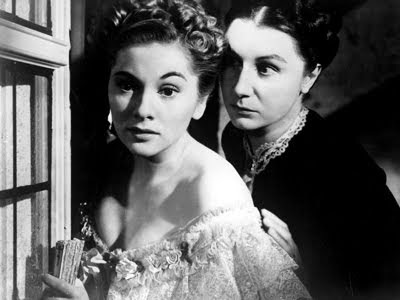 The filming is atmospheric, with Hitchcock's trademark usage of lighting and background music to set the (often gothic) mood. Treachery, mortality, obsession and depression are all depicted in a mystery film that visits romance, drama and comedy. And it even has a suprisingly complex and satisfying finish. Marvellous stuff. Thanks to Mr Gnome for the recommendation. 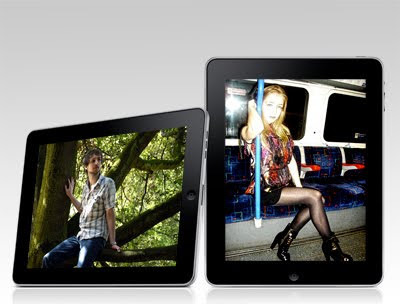 Andy Ihnatko has published the best 'hands-on' review of the iPad so far. Brett's 2p'orth: Summary: It is very, very fast... its display is excellent... it is smaller/less-heavy than it looks. 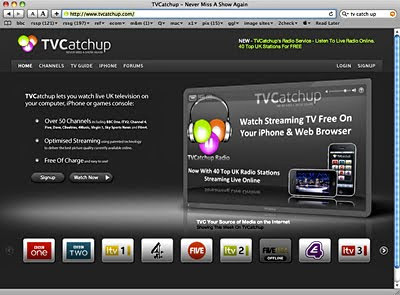 TVCatchup.com lets you watch over 50 TV channels, including BBC One, ITV2 and Channel 4 on your computer, iPhone or (web-connected) games console. Free, but registration required.